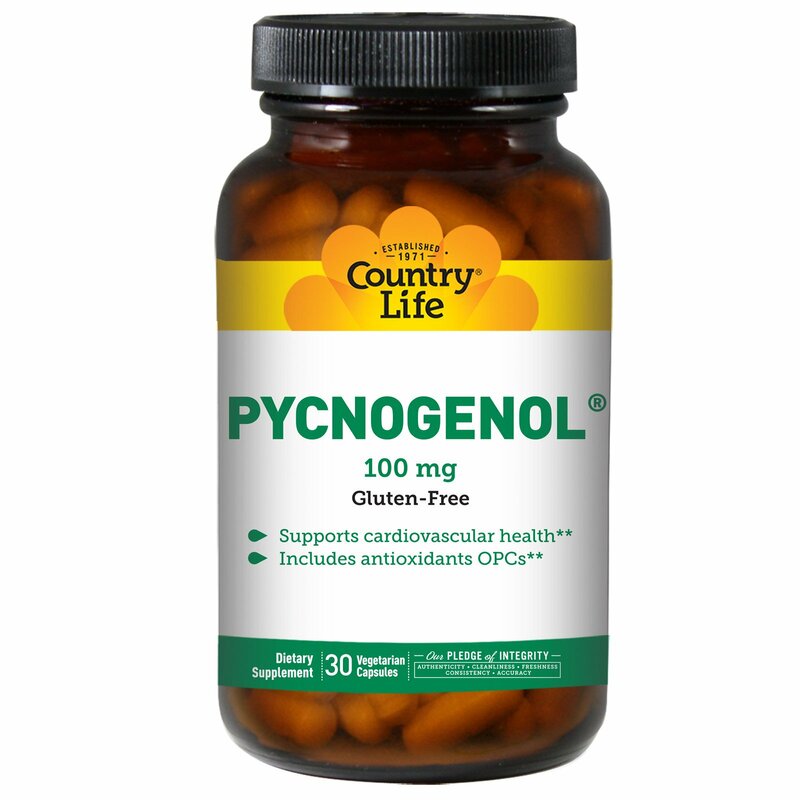 Made from French Maritime Pine Bark, Country Life's Pycnogenol includes antioxidants called oligomeric proanthocyanidins (OPCs). 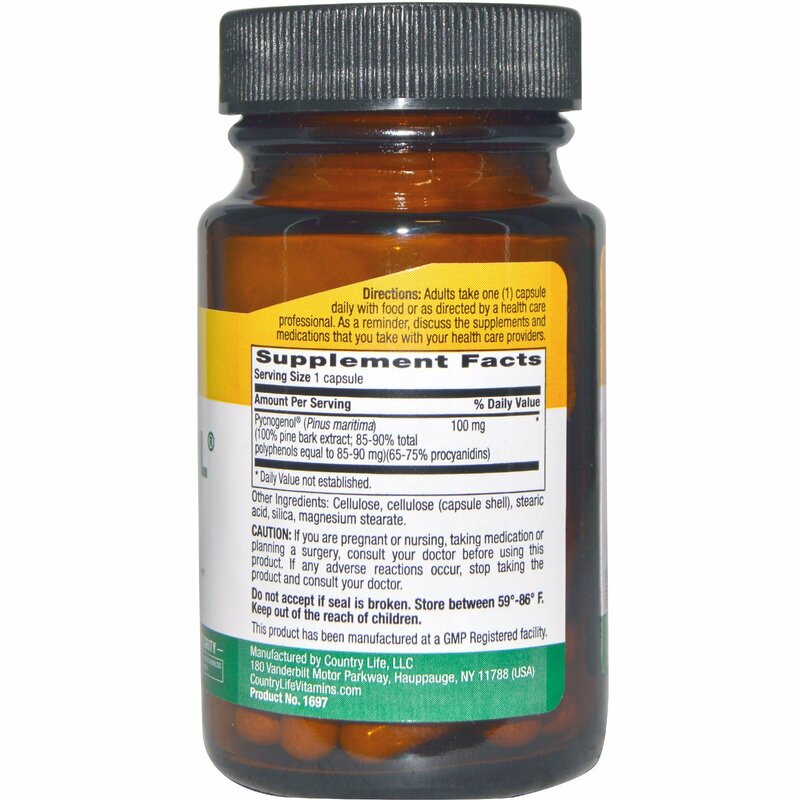 At 100 mg, it is shown to support cardiovascular health. Also available in 50 mg dose. Cellulose, cellulose (capsule shell), stearic acid, silica, magnesium stearate.